AccountSight's time and expense billing software offers fast and accurate invoicing options to its customers. Once all the billable hours are submitted and approved for a particular time period, the Project Manager can generate invoices. There are different types of invoices that can be generated. AccountSight has a simple way of communicating with clients to deliver invoices and receive payments. Recurring Invoices are special purpose invoices that are generated only when specific items are used or purchased for the project at regular intervals, for example, weekly or monthly. Only the Admin can generate Recurring Invoices as it is created at the Customer level, not at the Project level. 1] Logged in as Admin, go to the Invoices tab. 2] Within the Invoices tab, go to the Standard sub tab. 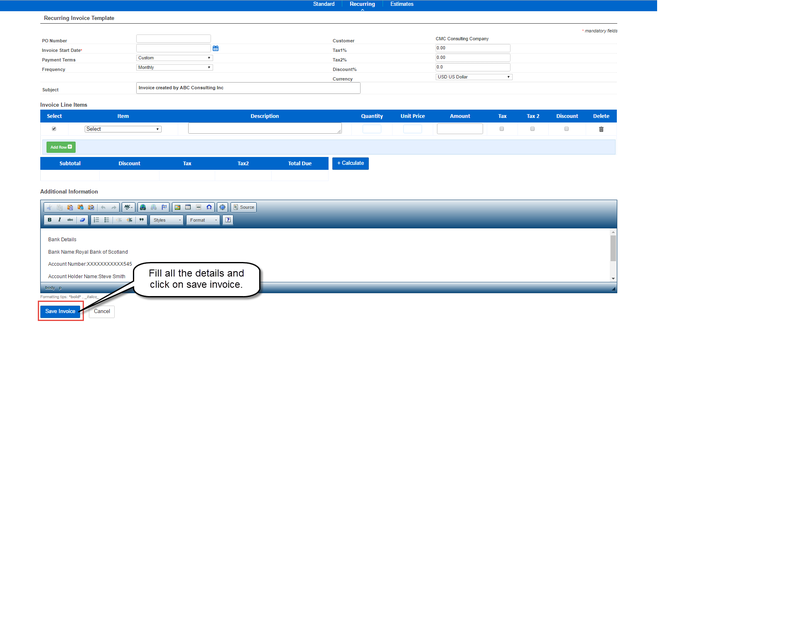 3] Click on the Create Recurring Invoice button. 4] Select the Customer and click on Submit. 5] Fill in the basic Invoice Details. A most important field is Frequency which determines how frequently the recurring invoice is generated. Select the product or service that you are charging for and enter the Quantity, Unit Price and other Invoice Line Details. Click on Add Row to add another product or service. Click on the Calculate button to find out the total bill. You can enter any important comments in the Special Instruction field. 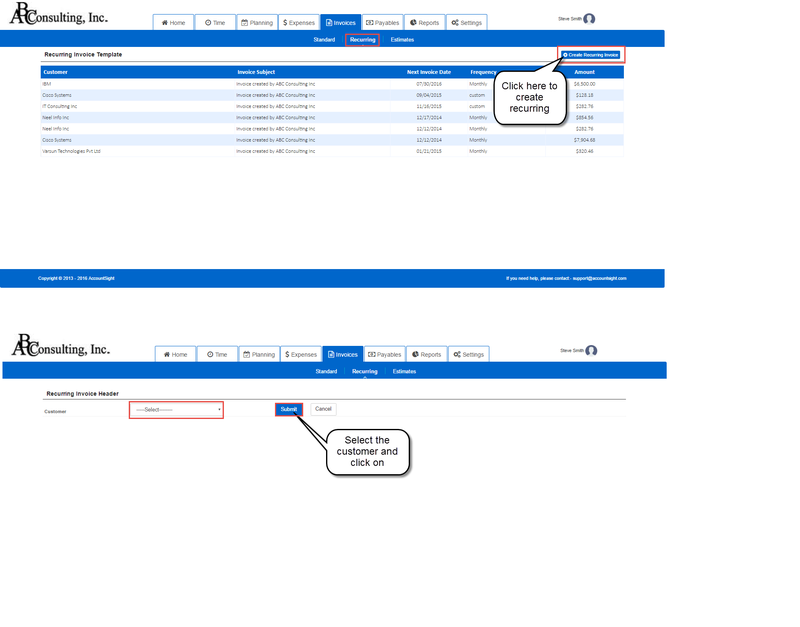 6] Click on Save Invoice to create the recurring invoice.